Happy Friday! This week flew by but I'm not complaining! This weekend, I am going to a concert at my church after my long run tomorrow morning pray for me. Come Sunday my dad and grandpa are watching the Super Bowl while my Grandma, Mom, Sis, and I watch a movie. I love me some football but I am more of a college fan, and don't have a dog in the fight for this years big game. Who are you cheering for? I am in it for the hot wings #whoswithme ?! Tonight I am sharing my favorite things of the week! These are just my favorite kinds of posts. Grab a cup of something hot and pull up a chair. Let me tell y'all about life lately. Okay this is something I have only recently gotten into but I am SO obsessed...and that would be hot teas. I haven't tried a ton yet but there are plenty of flavors on my "to try list". So far I am obsessed with Peppermint Tea from Octavia Tea and the Ginger Peach from The Republic of Tea. What teas are your favorite? Let me know! Beauty & The Beast EVERYTHING! This may sound kind of crazy, but I have been obsessed with everything Beauty & The Beast recently. My sister and I are considering going on opening day to see the new movie at Disney Springs. I have watched the trailer a million times and loved the final trailer that came our this week! So many of my favorite online Disney shops all have such cute merchandise for sale that has to do with Beauty and The Beast, and I am so overwhelmed. 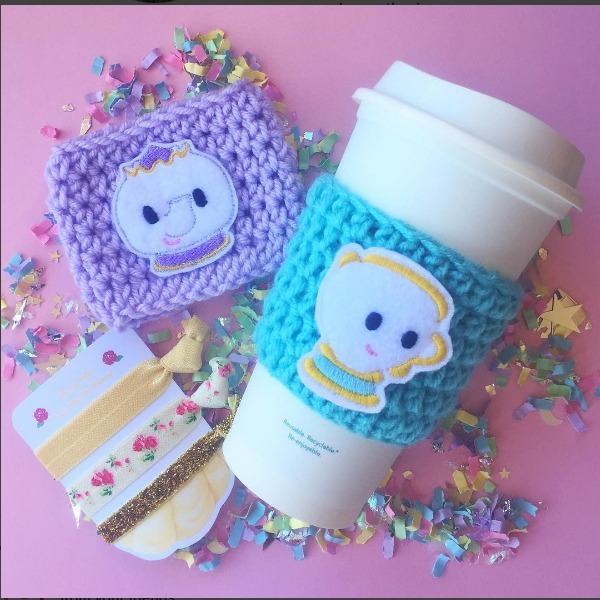 For instance, I am obsessed with these coffee cozys from Catherine Mason! 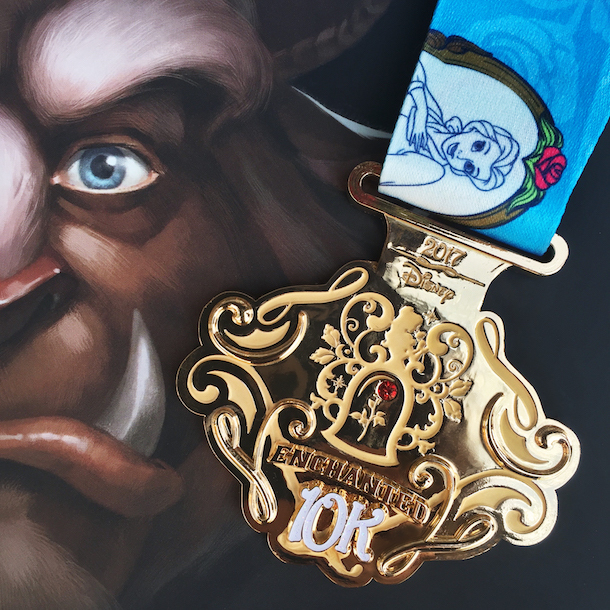 Lastly, I can't wait to get my sweaty hands on this GORG medal after my 10k in only 3 weeks EEEK! 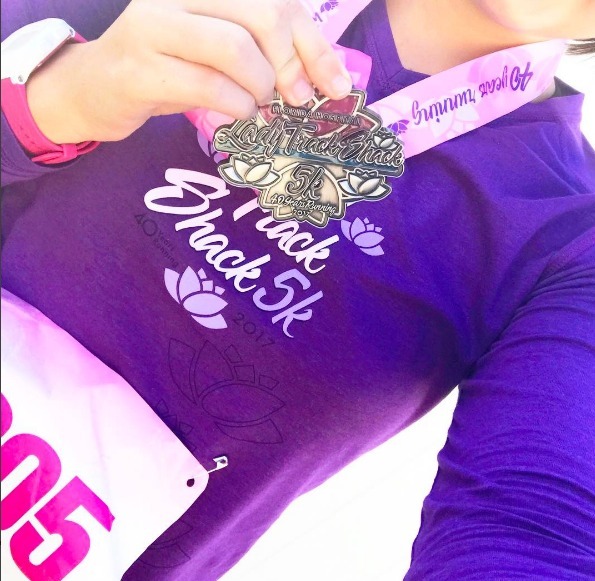 Speaking of running, last weekend I ran in the Lady Track Shack 5k and LOVED this race. I look forward to running it again next year. So many beautiful women running for such a good cause (plus everyone was in pink!) The medal was so cute! HOWEVER... possibly my favorite part was receiving a plant afterwards which I have now planted in a monogrammed pot, and paired with a tiny bamboo. It completely brightened up my room, and I am now trying to try out my green thumb :) We shall see! Well that is all for tonight folks! I hope you enjoy your weekend. Follow me a long my weekend over on my Instagram story :) Love y'all!